A medical marijuana dispensary near Worcester could become the first recreational pot store in Massachusetts — but it’s likely weeks away from opening for non-medical sales. 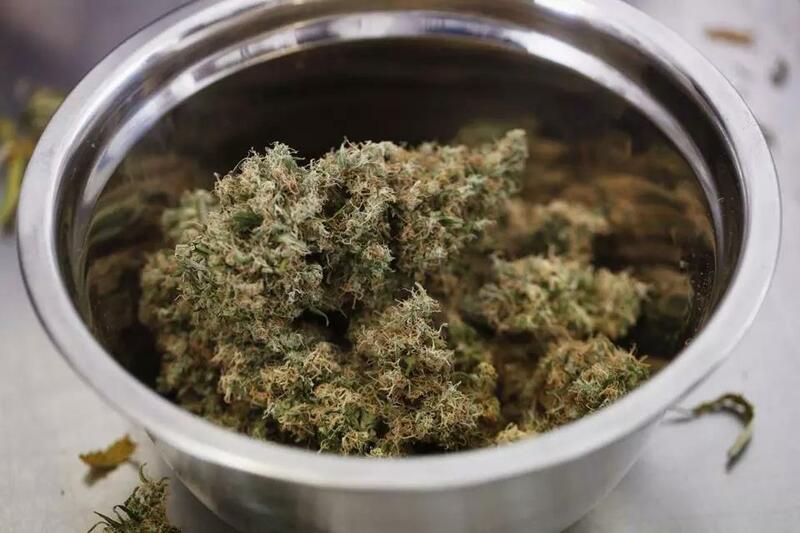 The state Cannabis Control Commission announced Thursday it expects to vote next week on whether to issue a provisional license to Cultivate, a medical dispensary in Leicester that first opened last November. If the agency approves the provisional license, Cultivate’s store will still need to pass final inspections before it can open its doors to adults who are not certified as medical marijuana patients, a process that could take several weeks. The state must also figure out a system for Cultivate and other medical marijuana operators to transfer inventory from the medical system monitored by the state Department of Public Health into the cannabis commission’s so-called seed-to-sale tracking system. A Cultivate executive did not immediately return a call seeking comment. Existing dispensaries that become hybrid medical-recreational shops will be required to reserve a portion of their inventories for card-holding patients. The rule is meant to ensure that a run by recreational consumers doesn’t deplete the state’s cannabis supply and leave patients without access to needed medicine. So far, the cannabis commission has issued just one provisional license, to a marijuana cultivation facility in Milford run by medical marijuana firm Sira Naturals. At its meeting Monday, the agency is also expected to vote on applications from Sira Naturals for marijuana manufacturing and transportation licenses, which will allow the company to turn the cannabis it grows into edibles and other products and ship them to stores. The company is also launching an expansion of its growing facility to serve the recreational market. Earlier this week, the cannabis commission moved to speed up the process of licensing marijuana testing labs, voting to move any applications from labs to the front of its queue. Under state law, marijuana products must be tested before they can be sold in stores, but to date only one of the four main labs serving medical marijuana dispensaries has submitted any part of the application for a recreational lab license. Retail sales of marijuana were widely expected to begin on July 1. That will almost certainly not happen now, though the commission is currently working through a pile of 61 completed applications and it’s still possible a handful of shops will open in July.